Most homes and business premises are today under various types of air conditioners. Despite the increase in the use of air conditioners, most are not properly maintained. 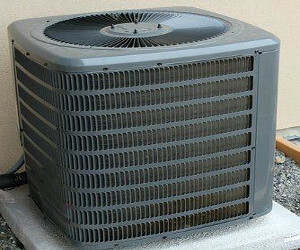 According to recent research, only 23% of the installed air conditioners are well maintained. You will not be able to achieve great results with your portable air conditioner if you do not take good care of it. Not only will proper maintenance help in improving the lifetime of your air conditioner but it will also help in improving the overall efficiency of the unit. Here are ideas that will ensure you take good care of your portable air conditioner. You need to pay attention to where your air conditioner is placed as you move it from room to room. You need to avoid placing it near or in dirty or dusty rooms. The small dirt particles are capable of coating the units motor. If the motors are clogged, you might find yourself with lots of electrical and mechanical issues. Though such issues can be taken care of by AC repair in Houston, it is important you avoid them. You will also have to exercise lots of caution whenever you place your air conditioner unit in a humid room since you will have to frequently drain the air conditioner. You can consider installing a drain tube to help in transferring excess liquid into a bucket. The circuit you will be using on your portable air conditioner should be capable of supplying at least 120 V AC to ensure there is enough power to start the units’ compressor and fan motors easily. In case your circuit is not up to the task, you can easily experience a busted fuse or shortage. You need to think about getting a surge protector just in case you experience a sudden surge of power that can fry your AC. Ensure you take your time and read the instructions concerning cleaning and caring of your air conditioner filters. Performing regular cleaning will help your filters last longer and efficiently clean the air. It is also important that you clean your units’ pre filter which you will find in the upper part of the air conditioner. Dirt can easily mix with any moisture on the air conditioner when you neglect to clean the pre filter. Refrain for using soaps or detergents whenever you are cleaning your filters since they can lead to clogging. Ensure that your exhaust hose is as short as possible and straight whenever you are using the portable air conditioner. This will prevent moisture from collecting inside the hose which might eventually trickle back into the unit. This might lead to shorter life or damage the appliance. If you are not able to keep the exhaust short and straight, ensure you frequently check it to make sure there are not excess moisture gathering inside it. Ensure your unit is correctly stored whenever you are not using it. The first thing you will have to do before storing it is to ensure it is fully drained of any moisture gathered inside the unit. Drape a plastic sheet over your air conditioner to ensure it is safe from gathering any dust and dirt. Always store your unit in a cool and dry place whenever you are not using it. Never store your portable air conditioner in a garage or attic. Never forget about your air conditioner whenever you are cleaning up and dusting your house. Turn off the unit and use a damp and clean cloth to wipe off its exterior. However, avoid using any type of detergents and chemicals since they can be abrasive and can easily damage the exterior of your unit.